Did you know that you can buy a full scale replica of the Toy Story Pizza Planet Truck license plate as seen in the film? Yah, I didn't until my friend and fellow Disney Store cast member Brooke gave this to me for Christmas this past year! In fact (and this is embarrassing to admit as a self proclaimed Pixar mega fan), I didn't actually know what it was when she gave it to me. I knew it was Pixar related and I knew it had something to do with Toy Story (because of the Nov & 95), but I just didn't recognize it. As soon as she told me though, it all clicked! How cool is this, right? 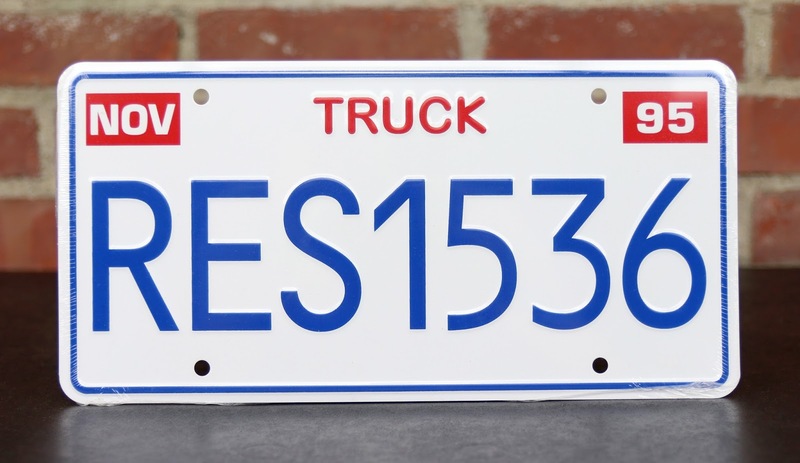 This replica is made by the folks over at CelebrityMachines.com, who have over 150 iconic license plate prop replicas in stock from various TV and film productions. You name it, they probably make it! These things are the real deal too. The plates are embossed and are made of aluminum, have the standard USA plate dimensions of 12" x 6" and are designed and printed with incredible screen accuracy. Retail price is $13.95-$16.95. Interesting stuff! Now that's a pretty deep reference. 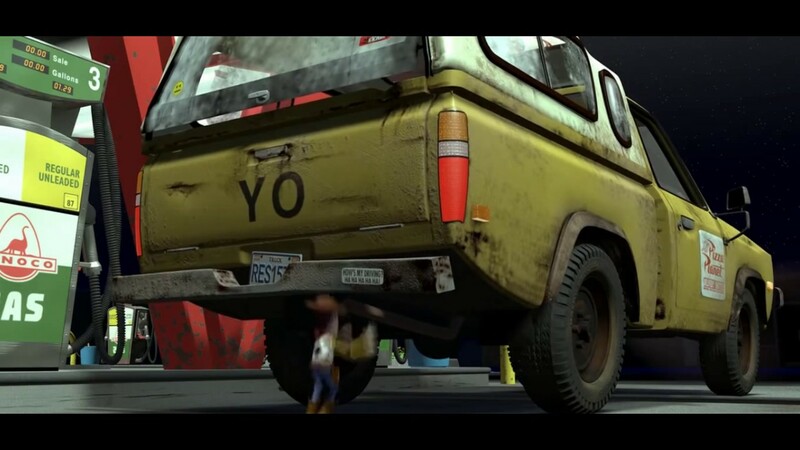 Go ahead and add that to you repertoire of Pixar fun facts! I couldn't wrap this post up without also posting a pic of the thoughtful Pizza Planet alien card Brooke made for me as well. Talk about screen accuracy! But come on Brooke, you know it should be Pixar "fan" and not "man"...such a common mistake. ;) I'll forgive it this time. Jokes aside though, a huge thanks again! This was super thoughtful. It's not an easy thing to find a unique Pixar item out there that I didn't know existed. 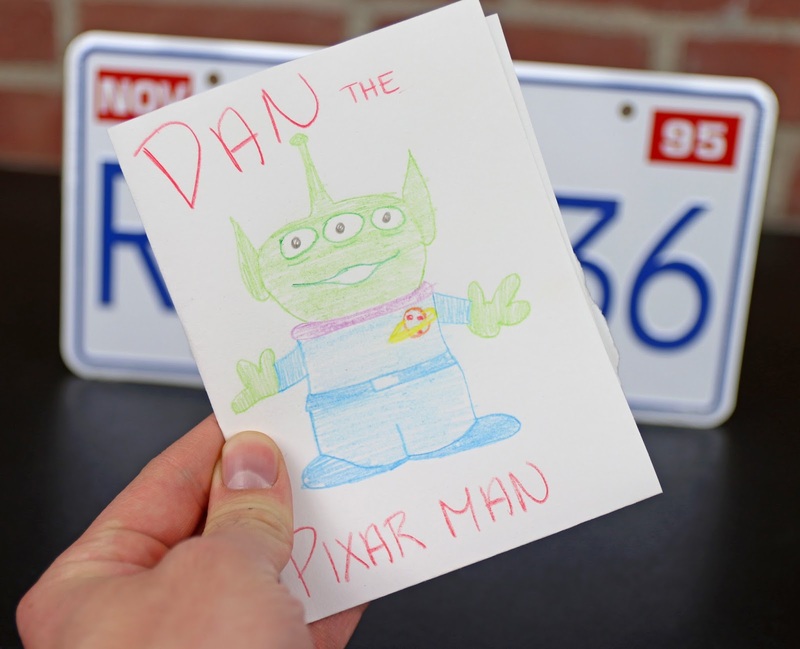 If you'd like to add this license plate to your Pixar collection, you can purchase this on the Celebrity Machines site HERE, their eBay store HERE, their Etsy shop HERE or Amazon using the link below. Let me know what you think!